Note: Here is another guest post from our friends from DailyBread.com on how to save money by buying coffee in bulk. Photo: Jeff Kubina. Licensed under the Creative Commons Attribution-Share Alike 2.0 Generic license. 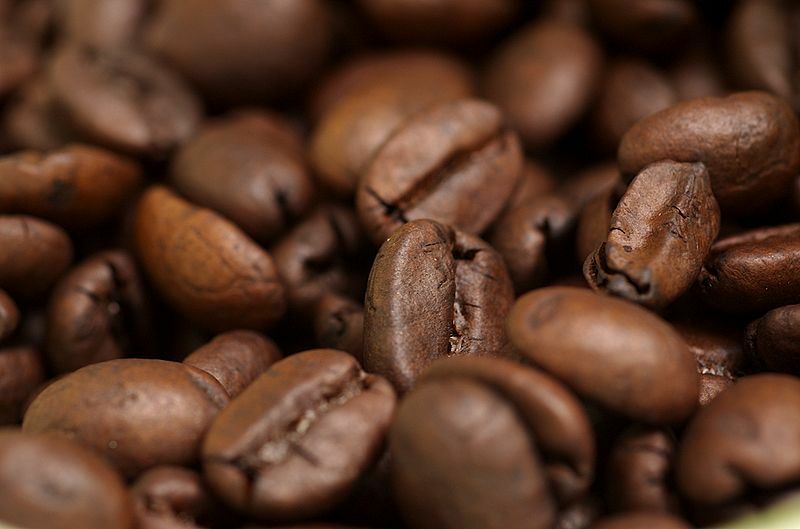 The price of coffee has escalated over the last decade or so, and this is bad news for coffee lovers, especially those who like good quality coffee. Many find they have to choose between reducing their consumption, and going for a cheaper and poorer quality brand. However there is another option and that is to buy it in bulk. Bulk coffee buying is more commonly done by cafes and restaurants, but there is no reason why it should not be done by individuals as well. It is obviously much cheaper than buying in small quantities from your local store. In fact you are likely to pay a mark-up of anything up to 300% for the convenience of buying near your home. One way of buying coffee in bulk is by using the wholesale merchants who normally sell to restaurants. They offer excellent deals for buying in large quantities, and they are not concerned as to whether you are an individual or a business. The more you buy the bigger discounts you get. Wholesale coffee is more likely to be available as coffee beans rather than ground coffee. You can find just about any brand you choose, including organic coffee beans which are more expensive. The two basic types of coffee which can be purchased wholesale are Robusta and Arabica, Arabica being more expensive as it is harder to grow. The majority of companies use a blend of the two in their products, but if you prefer the Arabica flavor, as many people do, you should ensure the product you buy contains more Arabica than Robusta. The easiest way of buying coffee at wholesale prices is via the Internet. This way you can have access to the widest selection, and shop around for the best prices. The main drawback to buying on the Internet is the shipping costs, so you should take care to check locations, and ensure that the distributor you choose is as near to you as possible. If you are not comfortable with Internet shopping, you can obtain coffee in bulk quantities at big box stores such as Costco, though the choice will not be nearly as wide as on the Internet. Some of the big office supply stores also stock coffee in bulk, for supplying to workplaces. An alternative way of buying coffee in bulk is through joining a coffee program――nowadays these are usually online. The best way to save money is to join a plan by which you have a specified amount of coffee shipped to you each month. Check the terms of the plan carefully, as different companies set different minimum amounts. Whichever way you buy your bulk coffee, you need to store it carefully. Most people advise storing it in the freezer, but others argue that this spoils the flavor. If you store it at room temperature, ensure you use a completely airtight seal and make absolutely certain that all moisture is excluded. Labeling your stocks with quantity, date, and the amount you paid will help you keep check on how much you are saving by bulk buying. It is not difficult to save money by bulk buying coffee, but if you are a home user, be careful not to go overboard. Avoid buying more than you can use, and remember that it is difficult to get a good flavor with a home coffee maker. I try to buy in bulk whenever I can. I love the super stores like Sams and Costco. It really helps me save money.